Finishing any marathon is no easy feat, let alone for the 10th consecutive year. That’s what an incredible group of inaugural runners will achieve at this year’s Perth Chevron City to Surf for Activ when they run across the finish line on August 26. Originally inspired by the Abbott World Marathon Majors ten years ago, the Chevron City to Surf for Activ decided to add a marathon to its series. Standing at the start line in 2009, waiting to be amongst the first group of people to tackle the freshly mapped out course was a team of 24 enthusiastic runners. Little did they know that 10 years on they’d still be running together as part of the exclusive 10-year marathon club. An iconic event founded on inclusive participation, personal bests and making it to the finish – whatever it takes, the Chevron City to Surf for Activ marathon has seen some exceptional runners tackle the 42 kilometre track. Catherine Talbot, member of the 10-year marathon running club commented, “I love it when you loop back into St Georges Terrace to meet back up with the thousands of runners waiting patiently to start the 21 kilometre, and 12 kilometre courses. You wave and clap at the competitors waiting, and you wish them luck. One name to mention from the pack and a keen runner to watch out for this year is local Perth man, Kevin Matthews or ‘Big Kev’. Crossing the marathon finish line for the past nine years, Big Kev has managed to finish within the top ten four times and proudly finishing fourth in 2015. A world-class course, the scenic 42 kilometres sees marathon runners hit the start line at St Georges Terrace in the early hours, channelling them down past the Swan Brewery as the sun rises over their shoulder. Not without its hills, the course challenges the legs on the way to Nedlands before hitting a monster hill at Kings Park. The final 10km is a fast trek through Subiaco before ending with a rewarding downward slope and if you’re lucky, a sea breeze along Oceanic Drive. If you want to get behind the achievement of a decade, take the opportunity to run alongside these 24 incredible 10-year marathon club runners on Sunday, August 26. Dust off your runners, get your run kit ready and cheer on a peer when you see the 10-Year Marathon logo on the back of a fellow runner.  The only event of its kind, the Chevron City to Surf for Activ is produced by the community, for the community. You get to choose the course and way in which you complete the event, whether you walk, run or roll across the finish line, together we will share the fun-raising for those living with a disability in WA. Registrations are still open – don’t miss out, register now! 10 Year Marathon Runners. From left to right: Colin Francis, Daniel Talbot, Ian Easton, Paul Ankers, Martyn Flahive, Scott Thompson, Rob Adams, Tim Eva, Kevin Matthews, Glen Quartermain, Michael Vermaes, Adam Menaglio, David Brown, Paul Harrison, Shona Macdonald, Jeanne Ong, Michael Fay, Shunya Komoto, Nick Franey, Paul Van Der Moezel. Unable to attend the photoshoot; Glen Wholey, Steven Rice and Catherine Talbot.